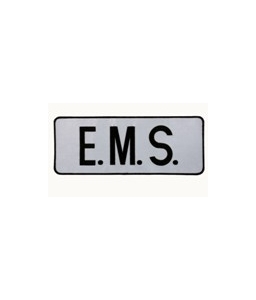 E.M.S. Back Patch- Black on Gray Reflective | 640012, PREMIER EMBLEM COMPANY, E.M.S. Back Patch- Black on Gray Reflective | McDonald Uniforms, Inc.